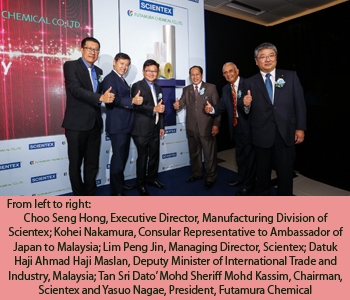 Malaysian packaging giant Scientex Berhad has inaugurated operations of its new BOPP film manufacturing plant – the largest such facility in Malaysia - in Pulau Indah, Selangor. The new plant, boasting a capacity of 60,000 tonnes/year, was constructed in collaboration with Japan’s largest film maker Futamura Chemical. The plant was built at a cost of RM220 million, and is equipped with machinery from JSW, said to be capable of wider-web and higher-speed film production. 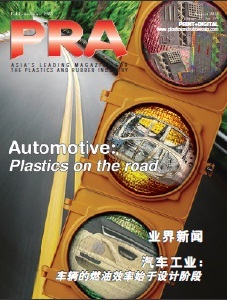 Futamura holds a 10% shareholding in Scientex Great Wall (SGW), the group’s consumer packaging unit, and would purchase approximately one third of the new plant’s annual BOPP film production. Managing Director of Scientex, Lim Peng Jin, said that the group is actively targeting growth in sales to local and regional players. “We have been aggressively marketing our high-performance BOPP film to several packaging players both domestically and regionally, and have also conducted product trials with them. We are pleased to receive commendable feedback to date, and look forward to commence supply to them in the near term,” he added. Scientex is also the largest stretch film producer in Asia and among the world’s largest producers with a production output of 120,000 tonnes/year. 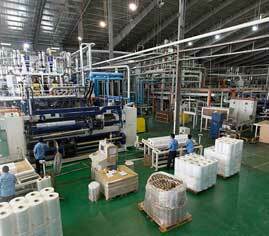 Established in 1968 as a PVC cloth and leather manufacturer, Scientex today produces stretch film, consumer packaging (blown film, BOPP film, and CPP film), PP strapping bands, form-fill & seal (FFS) bags, PP and PE woven and laminated bags, raffia tapes, flexible intermediate bulk containers (FIBC), PU adhesives and polymer materials such as laminated products, TPO and PVC sheets for automotive interior parts and solar encapsulant films. To date, Scientex has manufacturing facilities in Malaysia and Vietnam; as well as sales and marketing arms in Japan, Indonesia, and Singapore. 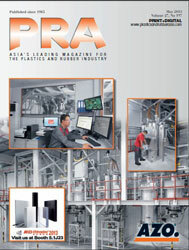 Approximately 75% of its manufacturing products are exported to over 60 countries worldwide.